Emily's Recipes and Reviews | UK Food Blog | Leicestershire : enjoy a gluten free breakfast with genius. 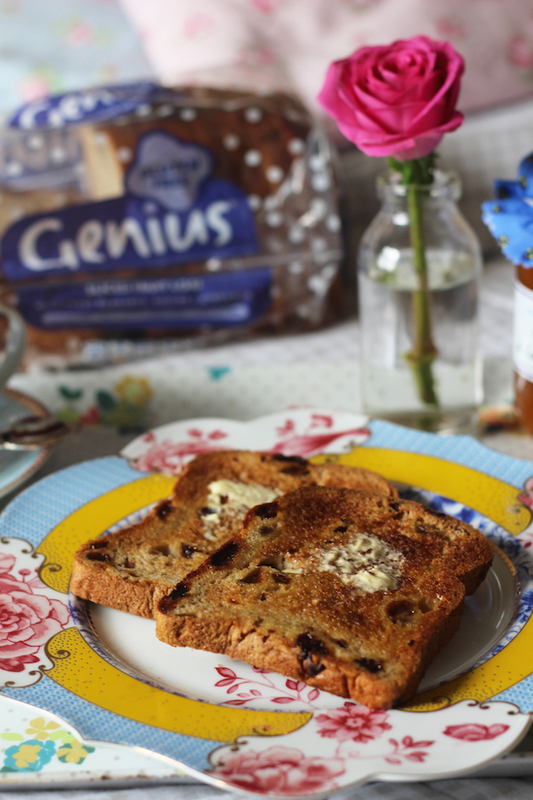 enjoy a gluten free breakfast with genius. Say Good Morning to a glorious gluten free breakfast spread from Genius. The popular gluten free brand Genius have three rules when they bring a new product to their ever growing ranges; it has to taste great, be the best quality and of course, it has to be gluten free. I was sent a selection of their gluten free pancakes, fruit loaf, crumpets and blueberry muffins to enjoy over the long Bank Holiday weekend. Bliss! The first thing on the breakfast menu was their Sliced Spicy Fruit Loaf (RRP £2.50) which contains a medley of sultanas, currants, raisins and warming spices such as cinnamon. These were perfect just with a simple topping of good quality, real butter. However I recently went along to Marseille and brought back some apricot and lavender jam, which went really well too. And of course with a strong cup of tea! Next up were the American style pancakes which are gluten, wheat and milk free. The light and fluffy pancakes went really well with fresh raspberries and blossom honey - but of course you can get creative with any toppings! At £2 for a pack of six, I thought that was pretty good value. Last on the brilliant breakfast buffet were blueberry muffins (RRP £2 for a pack of two). Honestly just as good as fresh muffins from a bakery, I couldn't tell the difference from normal muffins to the gluten free alternative. They had the lovely blueberry aroma that you would expect and were sweet and light - yum! Have you tried the new morning products from Genius? What are your favourite gluten free breakfast recipes and alternatives? 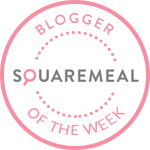 Food blogger Foodie Quine also reviewed the latest gluten free ranges, with a lovely maple spice apple compote recipe that would be perfect for breakfast time! brunch at victor café, marseille. the brown horse inn, winster, lake district. tokyo to go from yo! sushi.